A half-built house; a knife; a girl; two brothers. That’s how it ends and also how, for Chloe, it all begins. When Ethan Reznick sauntered into her life with his easy smile and laid back attitude he was exactly what Chloe needed. An escape from her parents’ divorce, her mother’s depression and the dawning realisation that she might never escape from her dead-end job in her dead-end town. Yet even with Ethan by her side, Chloe craves something more and when his brother – the charming, blunt, disconcerting Olly – shows up in town she starts to wonder if the brother she’s not with might be able to offer her a little more than the brother she is. It says a lot about a book when, just 48 hours after reading it, you can’t remember the name of the protagonist. This is largely, in the case of Dangerous Boys, due to the protagonist being pretty forgettable. Chloe is a fairly familiar character. For as long as she can remember she’s wanted to leave her small town for the bright lights of college and when her plans are derailed she feels resentful, disillusioned and pretty sorry for herself. It’s all very understandable, especially as she spends a lot of her time looking after a parent who has clearly had a nervous breakdown yet it’s hard to feel any real sympathy for her. This is not because she is self-serving or disdainful (although she often is), nor because she uses Ethan as a comfort blanket, despite knowing it’s unfair (although she does) or even because she hovers ever closer to Oliver, despite her ties to his brother (guilty again) but rather because she is just very poorly written. Her character is neither one thing nor the other and while this may have been intentional, it oddly imbues her with an air of crashing predictability and no originality whatsoever. The boys are also cardboard cut-outs. The fresh faced boy next door and the sly yet oh-so-attractive bad boy. Ethan is likable throughout but has no depth and Oliver is cartoonish in his obvious villainy. Seriously, if he’d burst into evil cackles of laughter, while ominously stroking a white cat at any point, I would not have been surprised. Other characters in the story include the boys’ mother, who clearly has concerns about her offspring, a kindly Sherriff and Chloe’s own mother whose personality and illness are carelessly written as an utterly unilluminating plot device. The structure, pace and plotting of Dangerous Boys leave much to be desired. Chloe’s narrative segues between the present – where things have clearly gone Very Wrong – and the past, where things began. In the present one boy is gravely injured and the other boy is missing. Haas clearly wishes readers to ponder the mystery of which boy lies in the hospital bed but sadly it is entirely obvious from almost the first page. As the story unfolds, there are points at which is has potential to become interesting but Haas instead rushes it towards a conclusion which is, to be fair, pretty weird. Chloe’s final actions, thoughts and words come on the back of such poor characterisation as to be nonsensical. This review is based on an early advance copy of the book and, for the first time, I actually wondered if I was reading a version that had yet to be finished. I’ve stated before my love of ambiguity in endings – it can be a brave and effective choice – but only if your story has the strength to hold it up. 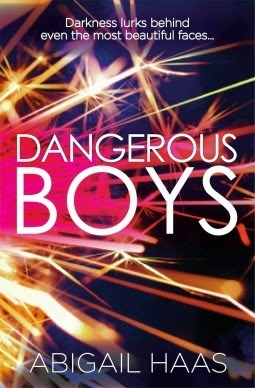 What makes Dangerous Boys so disappointing is that it follows the brilliantly compelling Dangerous Girls. The latter was almost impossible to put down, unpredictable and carried with it an air of strange reality, informed as it so clearly was by the Amanda Knox case. 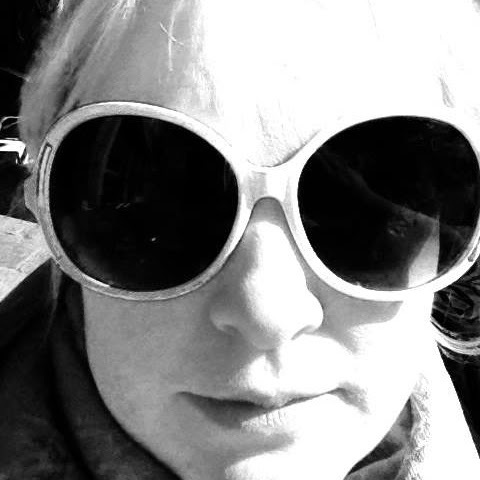 Abigail Haas seemed to have emerged as one of a new generation of teen writers keen to embrace the legacy of Point Horror. And perhaps she will return to form with her next book. In the meant time, those Point Horror fans among you should give this one a miss. Pick up Dangerous Girls, or anything by Gretchen McNeil or James Dawson but leave these Boys and their confusingly dull protagonist a miss. This review was brought to you by Splendibird. Dangerous Boys is available now. Thank you to the publisher, via Edelweiss, for providing us with a copy of this title to review.